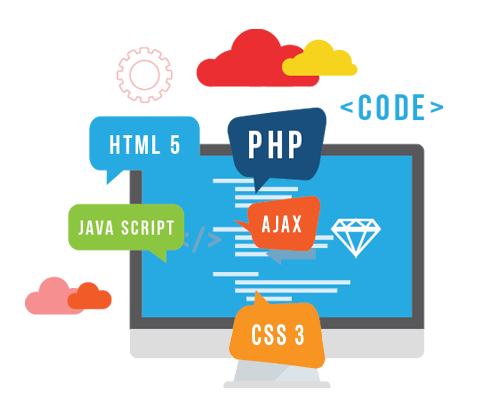 Suncode IT Solutions and Consultancy is a dependable web development partner who purposefully tailors our services to meet the specific needs of agencies. We know you want a trouble-free development experience and a site that functions exactly as designed. We provide reliable maintenance services that release you from the burden of managing upgrades and handling unplanned client support tasks.Our agency clients handle the digital strategy, creative design and overall project direction. We take care of the development and ongoing support. Smart Solutions can come to the table as your development team or work invisibly to support your brand. Designing websites, logo identities and experience-driven user-interfaces is our primary focus and we’ve got an ever-expanding bag of tricks we’d like to share with you. We offer uncompromised, end-to-end web, logo brand identity design and application design solutions for individuals, small businesses and start-ups. Together, we can precisely craft website design and an identity to represent your brand that encompasses both your brand's voice and its visual representations. Suncode IT Solutions and Consultancy is one of the leading providers of configurable ERP and CRM software solutions in Erbil, Iraqi Kurdistan that help organizations and companies to reducing the business costs, increases growth prospects, align their workflow processes and root out existing redundancies in the system. 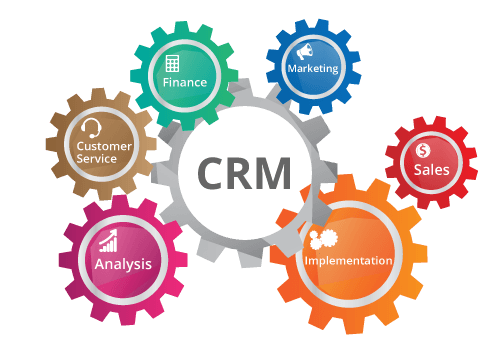 The company offers various generic ERP and CRM solutions to its clients who come from different industry verticals. Information technology consulting (also called IT consultancy, computer consultancy, computing consultancy, technology consulting business and technology services or IT advisory) is where we focus on advising businesses on how best to use information technology to meet their business objectives. In addition to providing advice, we can estimate, manage, implement, deploy, and administer IT systems on your behalf. We can provide you and your business with advice on Web Design and Web Development. Everyone could has it's own domain name on the internet. We assist you to register a proper domain name that will let your Business standout. 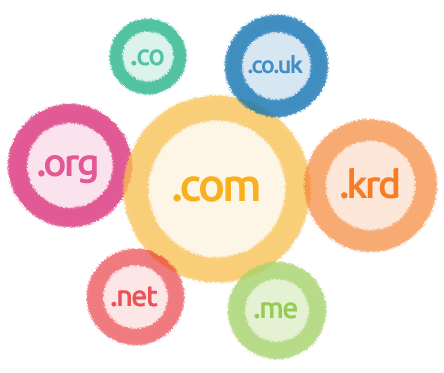 Suncode IT Solutions and Consultancy registers all domain extensions such as .com, .net, .org, .me, .co, .co.uk and .krd and etc. To put your business website to work, you need to ensure that it is up and accessible all the time from everywhere on the earth. Our cloud hosting services have helped many businesses in Erbil and Iraq Kurdistan enjoy a consistent and reliable online presence. 99.9% uptime is not the only benefit our hosting solutions provide. Suncode IT Solutions and Consultancy is one of the most leading IT agency in Erbil which could provide high quality hosting solutions. 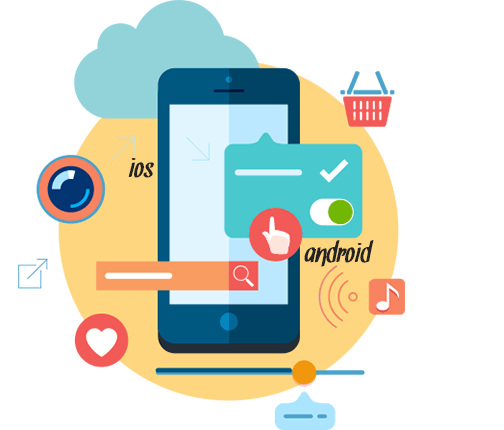 Suncode IT Solutions and Consultancy provides IOS, Android and Windows Mobile Application Development Services with dynamic expertise in custom mobile application software development and have vast experience in developing Mobile Applications technology across various platforms and devices using latest techniques for all major platforms. We are experts at social media, so we keep up with trends and technology. We understand hashtags, memes, mash-ups and microblogging - so you don’t have to. We make sure your social media feeds are buzzing with activity that’s positive for your business all week, every week. We try to keep it fun (if appropriate) while informing people about your business and promoting your brand. Get a custom crafted IPTV streaming solution, designed and maintained by a team of professionals that understand IPTV.